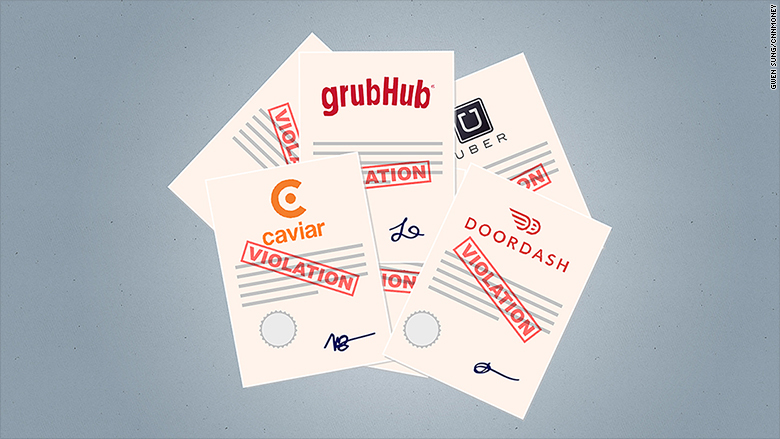 On-demand companies like Uber, GrubHub, DoorDash and Caviar are being sued for the same legal issues. Have you thought about working for companies like Uber? Very flexible, work when you can/want, good pay… Why not? Right ? On-demand companies such as Uber, GrubHub, DoorDash and Caviar are facing the same legal issues in San Francisco’s Superior Court. The lawsuits are being held because of the misclassification of workers from these companies. They are classifying workers as individual contractors and treating them as employees because they are avoiding the responsibility of paying for expenses like gas, parking fees and phone data. In other words, these companies are playing with the rules by using improper worker classifications. Different workers from DoorDash, Uber and GrubHub had alleged that they do not have any worker protection. For example, their gains could fall below minimum wage if dependent variables like fuel go up. Also, workers are not compensated for overtime work and they do not have the right to unionize. So, where are the organizational ethics of these on-demand companies (Uber, Grughub, Caviar and DoorDash) ?